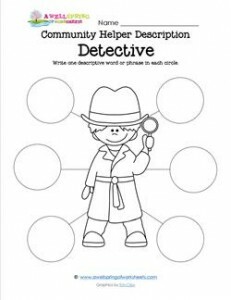 This community helper gathers clues like fingerprints & people’s stories & puts them together to try to solve a problem or a crime … who is he? A detective! Please go to this page to see all the community helpers job descriptions.